As we move into the New Year, I always recommend that during this time of transition, homeschooling families should take some time to reflect on the successes and failures of the previous year, the lessons learnt, and set some new intentions before pushing ahead into the New Year. During this time, before beginning your next homeschool term, seek clarity and direction for your family by getting quiet, turning inward, making dua, and asking yourself some very important questions. Watch this YouTube video, when I went LIVE on my Facebook and Instagram accounts, and chatted with you about preparing your homeschool for the New Year, and talked you through the questions listed below. 1) What was my favourite homeschool memory of last year? 2) What was my most painful homeschool memory of last year? 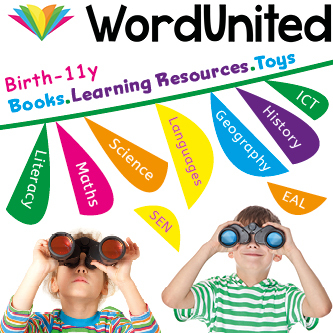 3) If you were to summarise the last year homeschooling in one word what would it be? 4) What areas were really successful? 5) What areas/people/topics/activities drained me? What drained the kids? 6) Where can I get help? 7)What can I cut out? 8) Where can we grow, further develop in our homeschool? 9)What areas don’t allign with my homeschool/family vision? 10) What positive change(s) can I implement going forward into the next year? There are far better things ahead than we ever left behind. I hope that this video and the questions I’ve posed will help you find the clarity you need moving forward, and help you to live a life with your family that aligns with your values. If you would like to share the answers to any, or all of the questions above, I would love to hear them! Please leave them for me in the comments below. This week I was LIVE on the Our Muslim Homeschool Instagram and Facebook accounts talking about a topic very common in mothers, low self-esteem. Do you ever refer to yourself as “Just a Mum?” Then this broadcast is for you! In this episode I spoke from the heart about my experience and gave my sincere advice to any mother who suffers with self-esteem issues. Make sure to follow me on Instagram or Facebook so you watch LIVE! Did you miss a previous episode? Don’t worry, you can watch ALL previous here on my blog. Just CLICK HERE for the round-up. Alternatively you can watch them our the YouTube Playlist . If you have any questions, please leave them for me in the comments below. See you next Sunday insha’Allah. He’s right. I am starting to feel like my old self again; that silly, impulsive, fun-loving girl, that girl that thought and cared deeply about everything, that girl who loved practical jokes and being goofy! But she got pushed aside so I could become responsible and capable; to be a “better” mum and wife; or a least in the same way everyone else seems to be. But instead of becoming more capable, I just became hurried. Instead of cherishing those special moments with my family, I hurried them onto the next one without taking the time to experience it; without truly living it. In an effort to be perfect, I forgot to be present. As my old self re-emerges, my relationships with those around me is growing. I’m no longer just functioning as a wife and a mum, but I’m learning to connect on a deeper level and be vulnerable again with those I love. What happened to cause this change? Instead of striving towards doing more, I’m seeking out quiet. Less distraction, less disruption and more time to reconnect with those I love the most. Instead of trying to fill every “empty” space and time slot in my life, I am embracing the silence. Instead of doing more and more, I’m doing less but with more meaning and more heart. If. like me, you have been feeling frantic and frazzled for too long; if you are exhausted with the pace of the life you have created for yourself; if you miss your old care-free self and those relationships of those you love, then perhaps you too need to slow down. “It’s about rejecting the myth that every day is a new opportunity to prove our worth, and about the truth that our worth is inherent, given by God, not earned by our hustling. It’s about learning to show up and let ourselves be seen just as we are, massively imperfect and weak and wild and flawed in a thousand ways, but still worth loving. – Shauna Niequist, Present over Perfect. If this seems completely irrelevant to your life, then I’m happy for you…I really am. But I wish someone had told me long ago, before I wasted all those years, that what you seek is not achieved or found by hustling and busyness; rather, it lies in the silence within you.